With fully renovated rooms, Grand Beach Resort is your perfect escape from the winter blues! 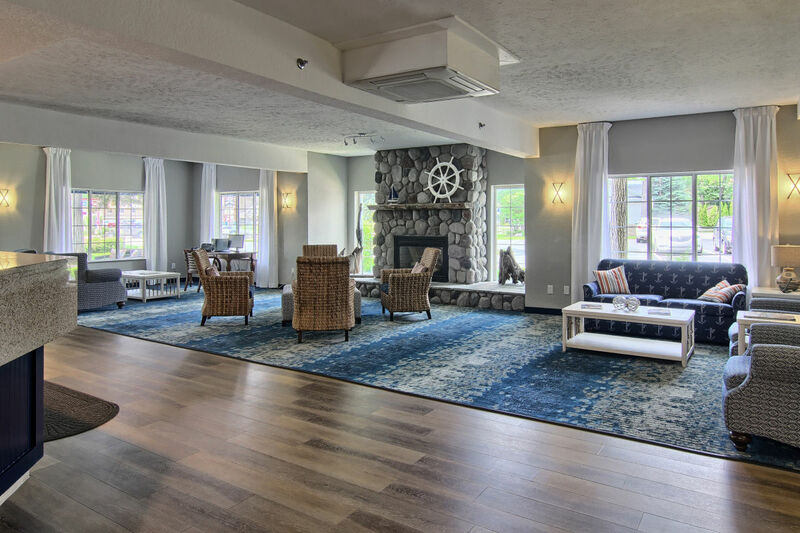 Our hotel is comfortably situated on the beaches of East Grand Traverse Bay and awaits you with mesmerizing balcony views over the water while you enjoy a nice coffee or warming hot chocolate. After a complimentary breakfast, adventure out for a fun and snow filled day of tubing or skiing at Mount Holiday, sleigh rides at Antler Ridge Farms, or wine tasting on Old Mission and then relax in the hot tub. (Especially after an action packed day of shopping downtown). Wherever your adventure takes you, Grand Beach Resort is your destination this winter! Book now to receive the best rates with our Escape deal starting at $69.00 per night Sunday - Thursday for a non beach view room or $89.00 per night Friday and Saturday for a non beach view room, starting January 7, 2019 through May 12, 2019. Call (231) 938-4455 to take advantage of this great offer.